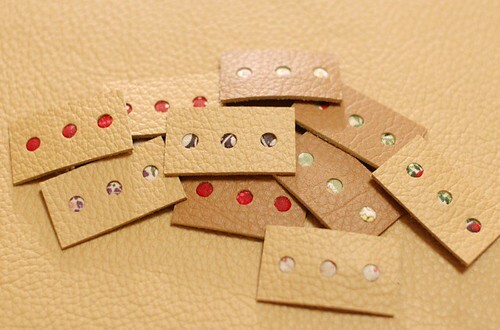 I made leather tags with tiny pieces of scraps. 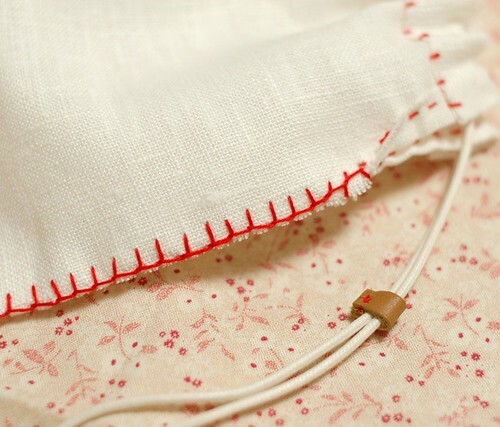 It's very simple and easy to make. 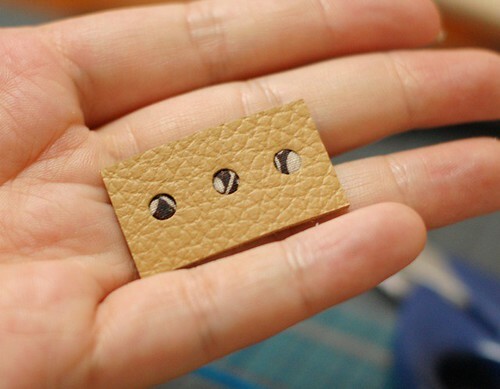 I cut leather in 3.6 cm x 2 cm (1.5 inches x 0.8 inches). I punch them three holes. 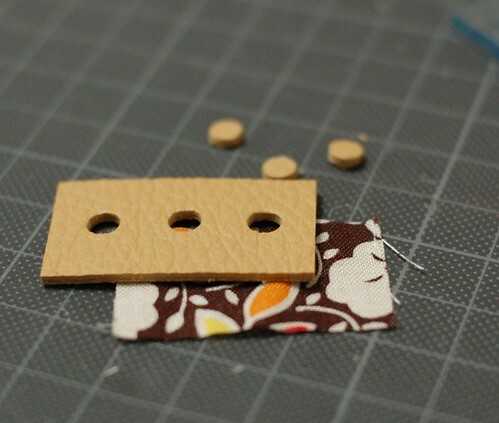 I made a pattern with thick paper, and put it on the pieces to check where I should punch. 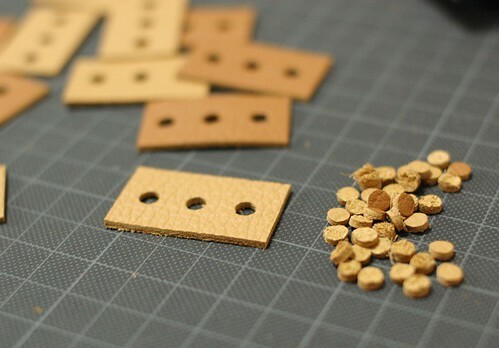 I also used these small circle pieces too! I cut a piece of fabric as the same size as the tag. 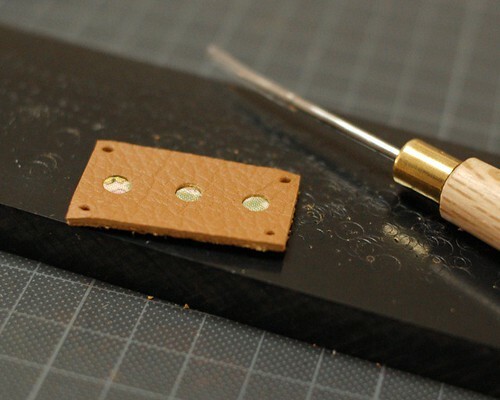 I put the piece on the back of the leather piece, and put little glue on the place of a hole. 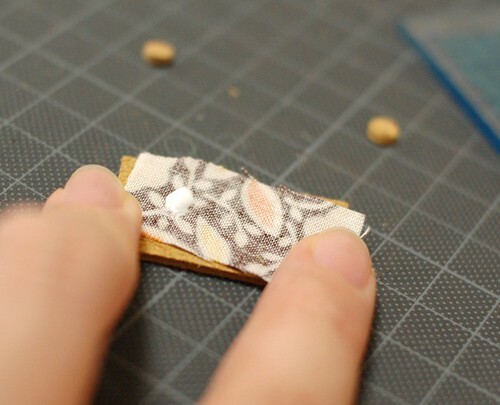 Then I put the circle piece on the glue, and pushed the piece into the hole. I used a pen to push it well. I put three pieces in the same way. Then I cut the excess fabric. The front side is this. 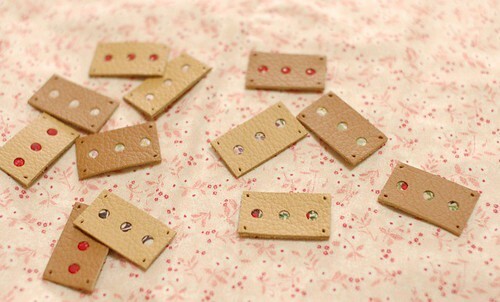 At last, I made four holes at the corners with a stiletto, so I can sew the tag on my items. 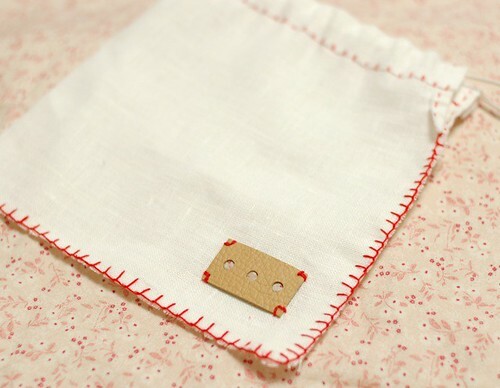 Then, I made a linen pouch and put the tag on it. 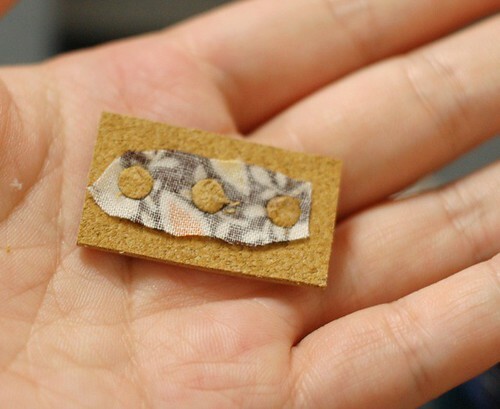 This is made of white linen from SWANY. 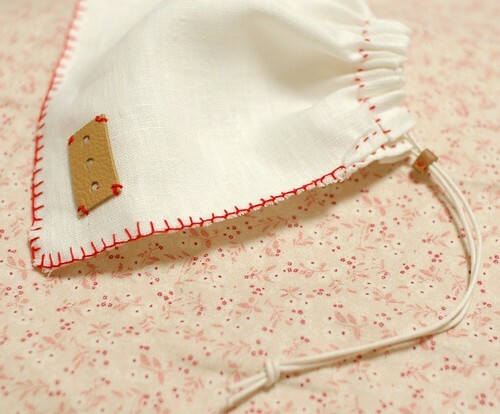 I sewed it with Sashiko cotton thread. I also put a small piece of leather at the code, as the stopper. 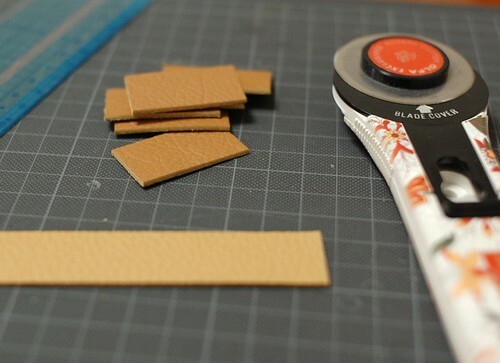 It's easy to use leather on your project and it makes handmade items more gorgeous, isn't it? You always have very great ideas... and love all your works! i spent the whole night, and the early hours of today reading through your archives. my eyes are tired but i am enjoying every moment of it. Ummm... the "post comment" link is a little bit small, so it's dificult to see it... (in my opinion). Wow! This looks easy to do, I might try it! 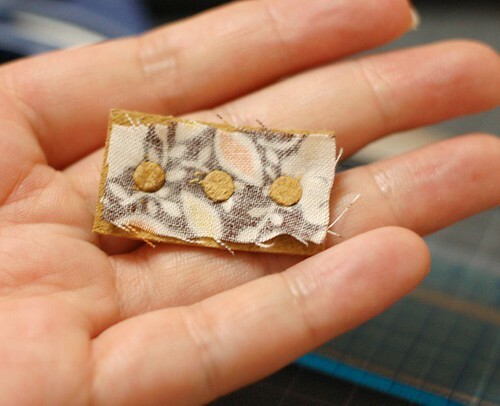 I enjoy your creativity, ingenuity and economy with small scraps of fabric, and the fact that all your sewing is done by hand! While a stiletto is a pointy weapon, the most common English usage of the word refers to a shoe with a pointy heel. I understand very well of the meanings of these words. I looked for the good word, but couldn't find well... Thank you very much (* v *)!!!!! I agree with you. I check if I could change the size. It was rather interesting for me to read the post. Thanks for it. I like such topics and everything that is connected to this matter. I definitely want to read a bit more on that blog soon.